Yesterday I felt weird. I couldn't shake it. The depression was settling again and it made me feel a bit discouraged. It wasn't all consuming, but I felt it nonetheless. I went throughout my day and was okay. Not great, not full of joy, but not beaten down. But it was still there. The heaviness and weight on my chest started to catch my breath a bit. I kept going through my day and the anxiety was building. I decided to go to a friend's house. I wanted to seek others instead of running away. I listened to her talk, but I wasn't all the way there. I felt numb and disconnected. I don't like that feeling. So I did what I usually do when things are hard, drive to the park. Find a quiet corner. Do my best to seek my God, when I need him the most. 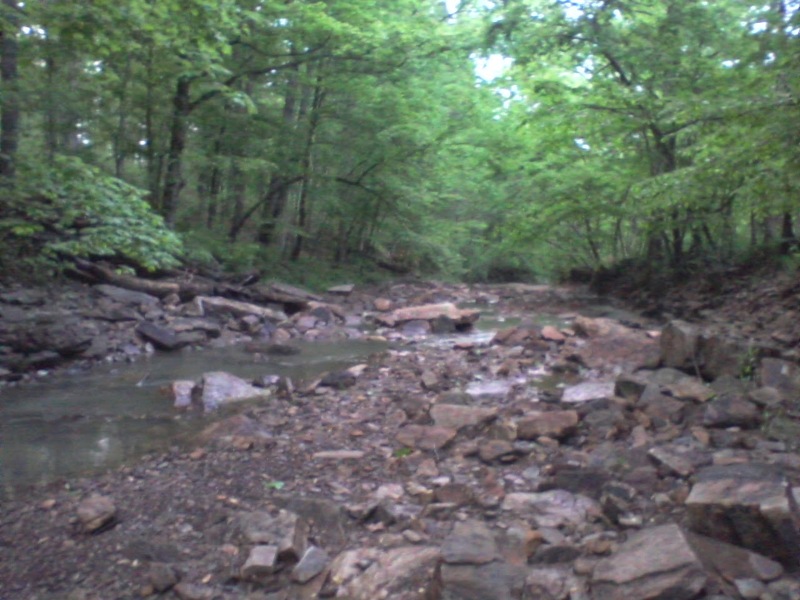 I climbed down into a creek bed and sat on a rock. The sky was cloudy and eventually it started to sprinkle. I didn't mind. Somehow when the weather matches your heart, it brings a bit a relief. At first I couldn't even pray. I just closed my eyes and sat there. I felt wet and cold and lonely. I felt confused. The joy has been so strong and prevalent in my life recently. And I knew that this moment didn't take away from that. So I sat still. I tried to let my mind wander and not shut down my emotions. I could feel tears press up behind my eyes. Then quickly they'd go away. I couldn't figure out why I was sad. But I also couldn't figure out why it kept going away. Like water flowing through cupped hands, I couldn't hold it. I heard myself praying out loud. I felt myself pleading with God. I felt confusion. I'd feel the Holy Spirit and then it'd go away. I would feel peace and then discomfort. I felt the struggle within me. I felt the fight for who I was. I felt the old Emily pulling one way, and the new Emily not allowing it to take over. But there were still things from the old Emily being stirred up. And that scared me. Anxiety bubbled up. It threatened to take over. I felt desperate. I felt trapped. I felt confused. But I sat there. I stayed perched on my rock and put all my trust in my God. And then I heard the words that almost did me in. "Would you trust me, even if I led you through the darkness again?" It was too much. The tears almost came out this time. I felt my body rocking back and forth trying to soothe myself. Next thing I knew I was singing out loud. I was worshiping. My mind was overwhelmed and so my soul burst forth in song. In that moment I was so scared, but so proud of myself. My response was worship. And so I forced myself to say it out loud. "Yes God, I will trust you to lead me through the darkness. The only thing I ask is that your presence be nearer to me this time." It was profound. I was a mess. I was scared of going back there again. But I know my Father is good. I know he is faithful. And I'm so much different than I was a year ago. I know that I can lean on Him. That even when I fall apart, he has me. And today was hard. So much harder than yesterday. At times I was such a mess I couldn't even stand. I could only sit on the floor lean against my friend. She is my rock and my safe place. The darkness was here today. But I was taken care of. I had what I needed. A loving friend, who knew that I needed to be close to her. Who let me press in to her so much, at times it felt like we were one person. I needed that warmth and closeness. I felt like a child. But I know that with truth comes healing. The light is here. It is exposing the darkness. And it's painful. So painful. And I'm not as numb as before. And that is a scary thought. But I'm doing my best to trust. And I'm doing okay.